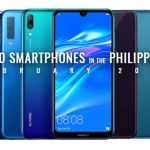 Meet the most popular smartphones in the Philippines! 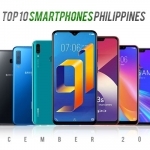 These are the top 10 smartphones based on the number of page views on the database of smartphones on Pinoy Techno Guide. I’ve filtered the results to organic views from the Philippines only. This means they are not affected by brand promotions on Facebook or other ad platforms. The data is from November 1-30, 2018. You might also notice the small percentage values. This is because there are almost 500 smartphones in the database right now with a total of around half a million views per month. The OPPO A3s smartphone in red. The OPPO A3s is the number one smartphone based on Pageviews on Pinoy Techno Guide. It features a modern design with a 6.2-inch notched display, 13 + 2 Megapixel dual rear cameras and a glossy body. It also has a pretty good performance since it runs on a Qualcomm Snapdragon 450 chipset, 2GB of RAM and a 4230mAh battery. It doesn’t have a fingerprint sensor though and relies on Face Recognition using the front camera instead. The Samsung Galaxy J4 Plus smartphone in black. 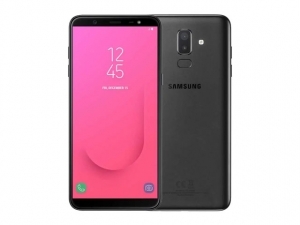 The Samsung Galaxy J4+ is a budget smartphone from the Korean smartphone brand. 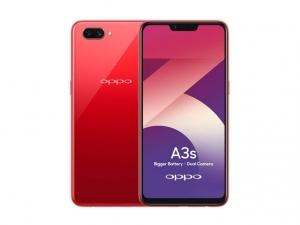 It’s a direct competitor to the OPPO A3s with the same price. 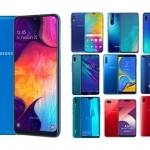 However, it has a slightly smaller screen with no notch, one step lower chipset, smaller battery and a single rear camera instead of two. Perhaps it’s main advantage is its brand name. 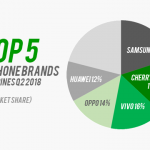 Samsung is still one of the most trusted smartphone brands in the Philippines. 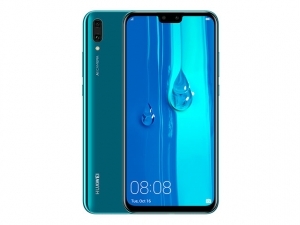 The Huawei Y9 2019 is a new smartphone from Huawei that the company officially introduced during the 11.11 online shopping event. It has a 6.5-inch notched display, quad camera setup, Kirin 710 chipset, 4GB of RAM and a 4000mAh battery. What makes it very interesting is the relatively low price given its set of features at ₱12,990.00. 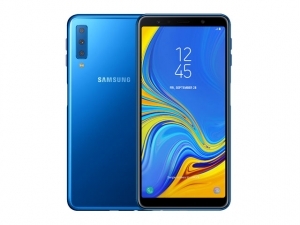 The Samsung Galaxy A7 2018 smartphone in blue color. Triple cameras! That’s the headline feature of the Samsung Galaxy A7 2018 smartphone. It has a 24 + 8 + 5 Megapixel rear camera setup. It also features a 6-inch FHD+ Super AMOLED display, 2.2GHz octa core processor and a 3300mAh battery. There are two variants of the device – one with 4GB of RAM and another with 6GB of RAM. 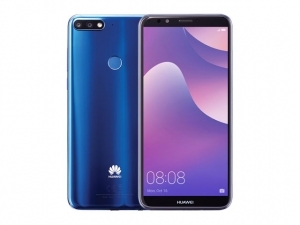 The Huawei Nova 2 Lite smartphone in blue color. 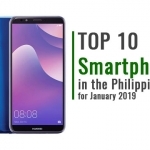 The Lite version of last year’s very successful Huawei Nova 2i smartphone is still very popular eight months after it was released in the country. It has a 6-inch display, Qualcomm Snapdragon 430 chipset, 3GB of RAM and a 3000mAh battery. For photography, the phone has a 13 + 2 Megapixel dual rear cameras and an 8 Megapixel front camera. This is Vivo’s second new smartphone this month. 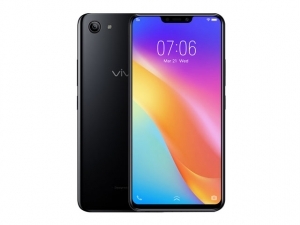 The Vivo Y91 features a similar 6.22-inch notched display as the Vivo Y81i but with a better chipset – the Qualcomm Snapdragon 439. It also has dual rear cameras, a fingerprint sensor, 3GB of RAM and a 4030mAh battery. 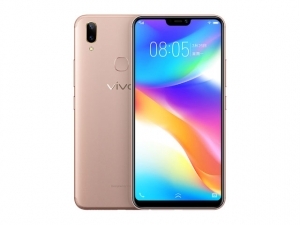 The Vivo Y85 smartphone in gold. The Vivo Y85 has been available in the Philippines for six months now. What made it popular again is probably the substantial price drop of ₱2,000 in August. It features a 6.22-inch notched display, MediaTek Helio P22 chipset, dual rear cameras, 4GB of RAM and a 3240mAh battery. It also has face recognition and a fingerprint sensor for security. 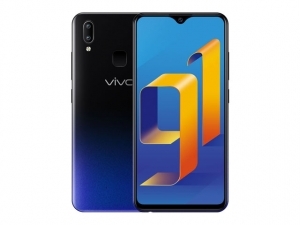 The Vivo Y81i is a new smartphone from Vivo featuring a 6.22-inch notched display, MediaTek Helio A22 chipset (or MT6761) and 2GB of RAM. It also has a 13 Megapixel rear camera, 5 Megapixel front camera and a 3260mAh battery. The OPPO A3s (3GB) smartphone in purple. Before October 2018, I made separate pages for different versions of the same smartphones. Hence, the 3GB RAM version of the OPPO A3s has its separate ranking. This means the phone is extremely popular with Filipinos. I even saw in a Facebook conversation that the OPPO A3s has been dubbed as the “Pambansang smartphone ng Pilipinas”. 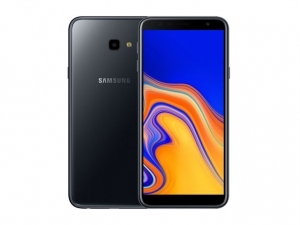 The Samsung Galaxy J8 is more affordable than the Samsung Galaxy A7 2018 but it only has two cameras at the back, not three. It also has a 6-inch HD+ Super AMOLED display, Qualcomm Snapdragon 450 chipset, 3GB of RAM and a 3500mAh battery. Its front camera is 16 Megapixels and has its own LED flash. 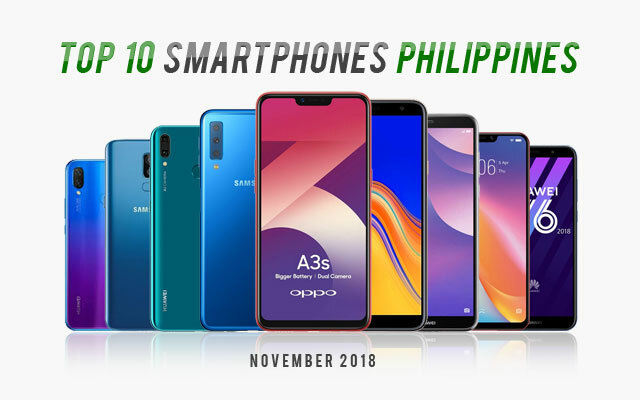 I originally planned on making a ranking of the best smartphones in the Philippines based on my personal experiences. However, I have only reviewed two smartphones among the ten listed above. You can read my Huawei Y6 2018 review. Let me know if you agree with this ranking. Notice that no flagship smartphone made it to the list. Filipinos are clearly looking for an affordable smartphone that offers the best features for the price. - I write about the latest tech news, organize specs sheets and review smartphones.